The forest within which Sylvania lies is rich in both summer and winter recreation opportunities. Named for the Ottawa Indians, it contains more than 500 lakes and nearly 2,000 miles of streams. 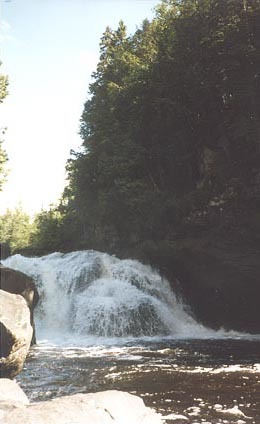 Hiking trails lead to several spectacular waterfalls, and the North Country National Scenic Trail crosses the forest. Other points of interest include the Black River Harbor, providing access to Lake Superior, and the Beaver Lodge Trail, an educational 1 1/4 mile hike along which you can test your ability to identify trees. Special interest areas include an ancient volcanic vent plug and an example of a Spodosol soil profile. Several other local points of interest are located within the forest (but are not part of it), such as the mysterious “Pauling Light” and an old mining “Ghost Town”. Groomed snowmobile and cross-country ski trails as well as downhill ski areas will delight the winter sport enthusiasts. Three Wilderness areas are located within the Ottawa National Forest: the Sylvania Wilderness (18,327 acres), the McCormick Wilderness (16,850 acres), and the Sturgeon River Gorge Wilderness (14,149 acres).